Last month, we examined a variety of routes and considerations of concern to boaters planning a cruise from central Puget Sound to the San Juan Islands. Once across Rosario Strait, or the Strait of Juan de Fuca, the islands are arranged in a nearly circular configuration. The largest islands form the major portions of the ring, with smaller islands plugged into the gaps. More of the interesting cruising destinations and popular ports are found within the natural circle than on the edges. 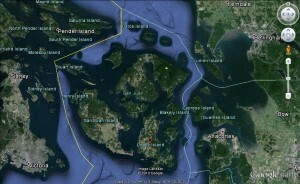 A good cruising plan will account for entrance through one of the many passes and into the heart of the San Juan Islands.